Provision of Secondary Mud Recovery/Cuttings Dryer (either vertical or horizontal) with feed pump capable of obtaining less than 5% (50gm/kg) cuttings oil retention (COR). GN response: all GN Vertical cuttings dryer are high standard equipment, which is equivalent to Swaco vertical cuttings dryer / CSI cuttings dryer. GN vertical cuttings dryer are working in many drilling rig site and show high performance. GNCD930 series cuttings dryer have been working for Oil based mud cuttings treatment over 3 years, the OOC can be reduced to below 5%. Provision of Low and High speed centrifuges with feed pumps for drilling fluids solids control to assist in obtaining less than 5% COR. The units shall have independent bowl and scroll speeds for processing the synthetic base fluid. GN response: we can offer fixed speed low speed centrifuge / fixed speed high speed centrifuge. And we can offer variable speed centrifuge with PLC control panel, the client can get different speed for different application, much convenient for speed adjustment. 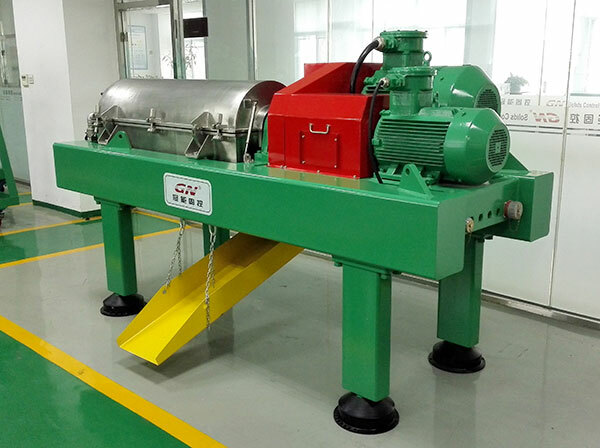 GNLW363CG premium centrifuge is the most popular model, the 14inch centrifuge is equivalent to Derrick DE1000 centrifuge or Swaco 518 centrifuges, much more cost-effective than US brand centrifuges. Regarding the feed pump, we generally recommend screw pump with stable working performance. 3. Provision of Screw (Auger) conveyors or vacuum system to move cuttings from the rig mud system shakers to the cuttings dryer. GN response: we have both screw conveyor and vacuum cuttings transfer unit. However, we recommend screw conveyor with more stable working performance as per feedback from jobsite. 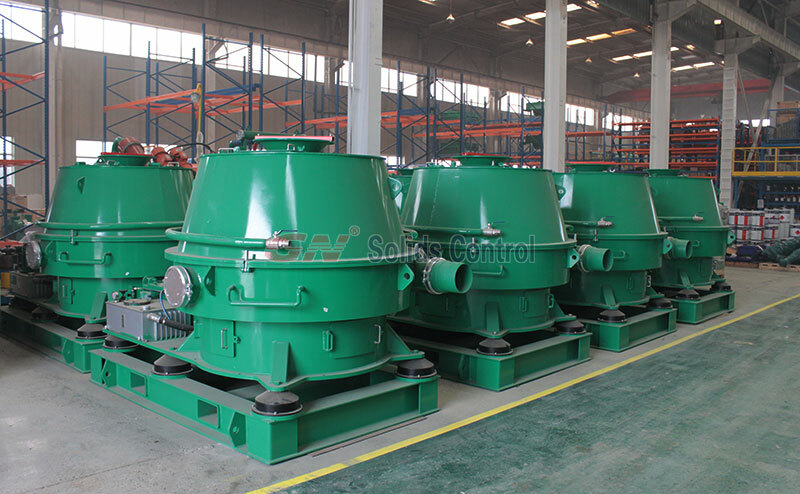 Except for above mentioned equipment, GN Solids can provide all line of solids control equipment, drilling waste management equipment, mud systems, industry centrifuges, etc.